I have always been on the chicken bandwagon. My taste for them in home decor has changed over the years, probably yours too?? 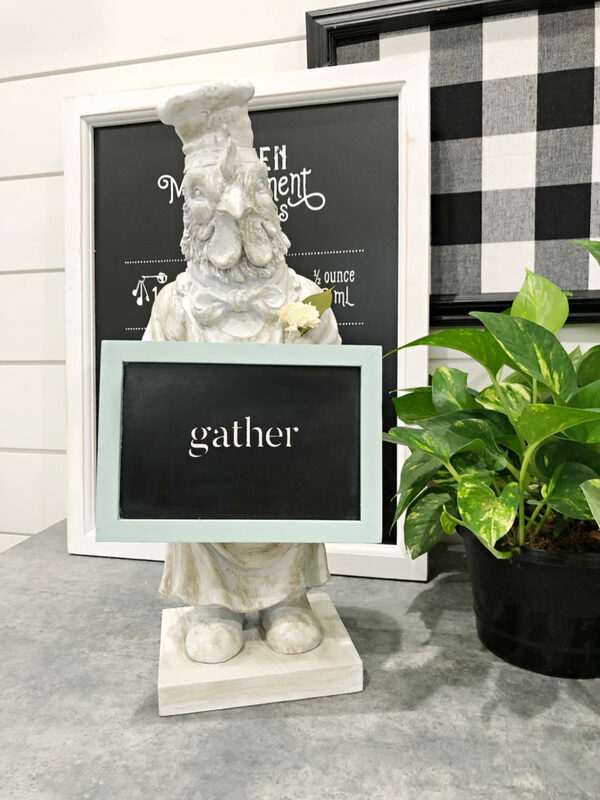 When I spotted this rooster, I felt like I could give him a farmhouse makeover. I am loving his new look. 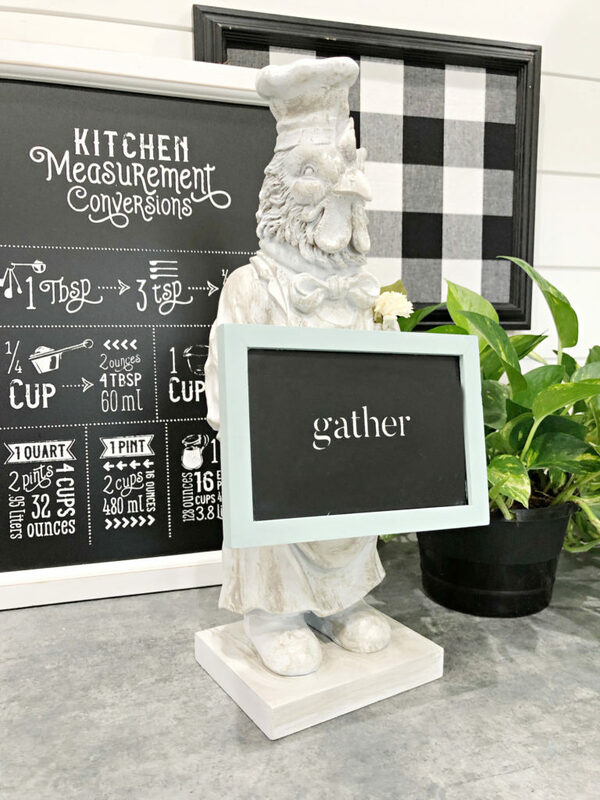 This rooster kitchen chalkboard is welcoming everyone to gather around the table. 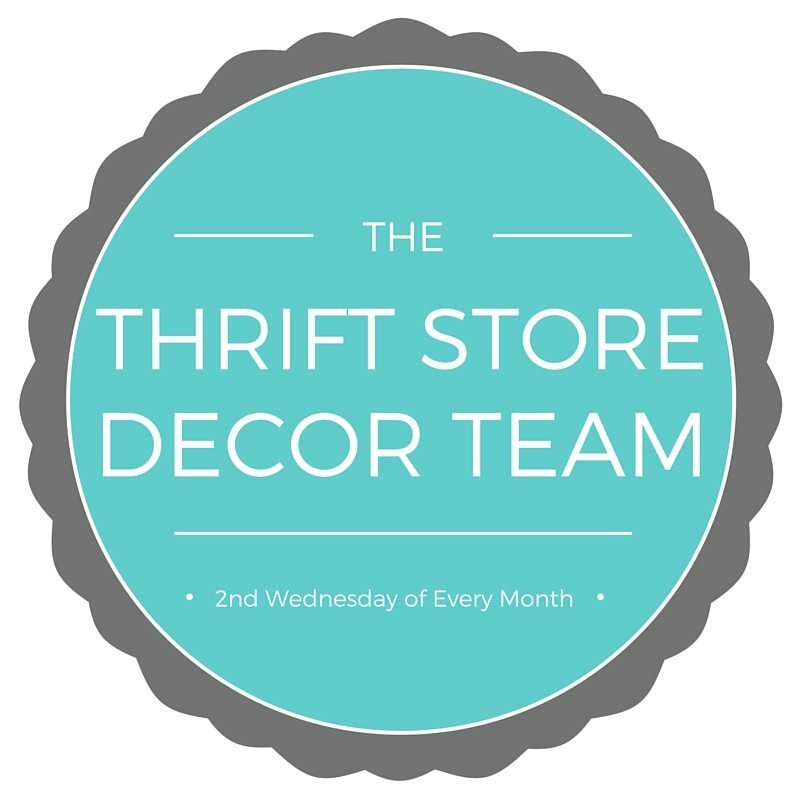 Y’all it’s our favorite time of the month, please be sure to see all the ideas at the end of the post from the The Thrift Store Decor Team. 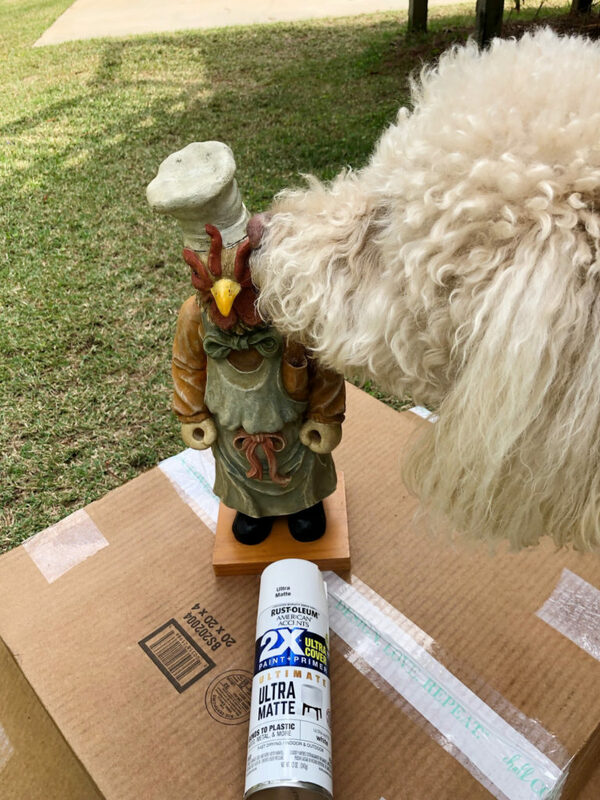 When using spray paint always follow the directions on the can for spraying several coats. 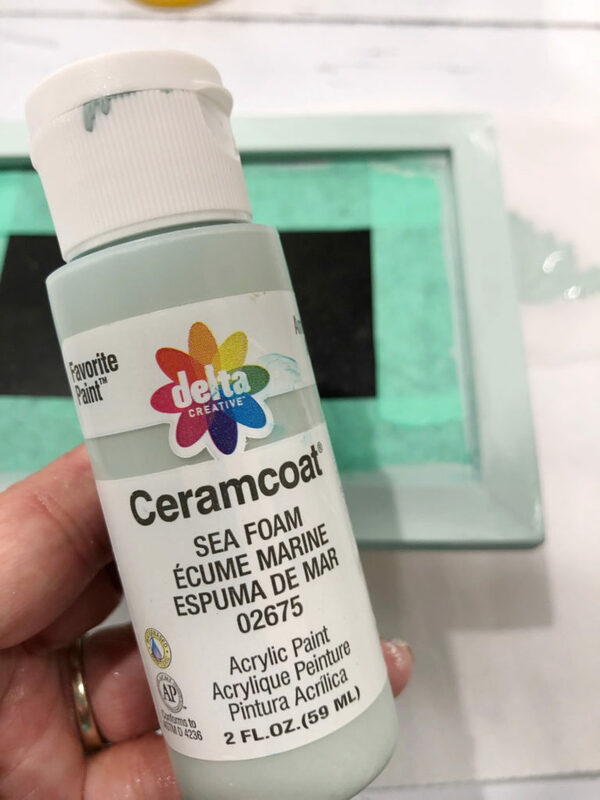 For dry brushing dip brush in paint and wipe off on a paper towel so you don't apply too much. 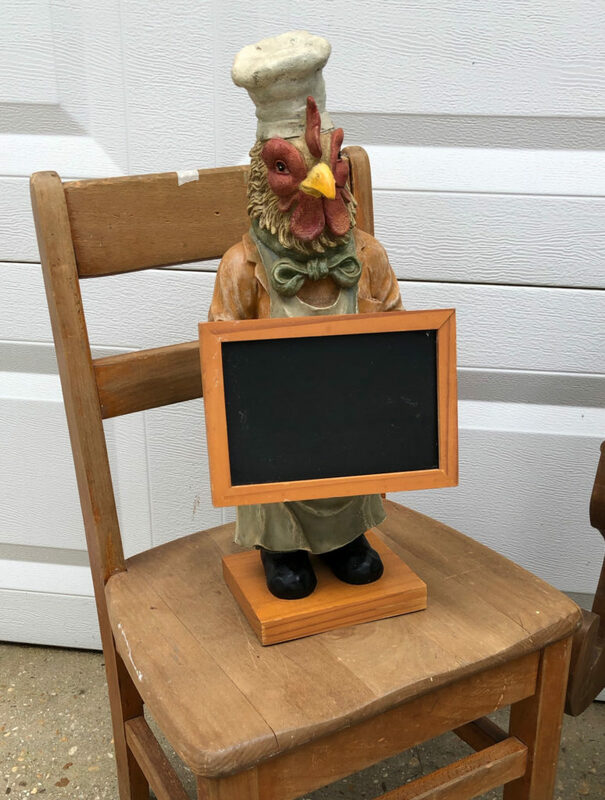 TA-DA here he is, I’m going to be moving Henry Jr. around when I entertain, I think a rooster with a chalkboard is perfect for the kitchen or any room. What do you think? 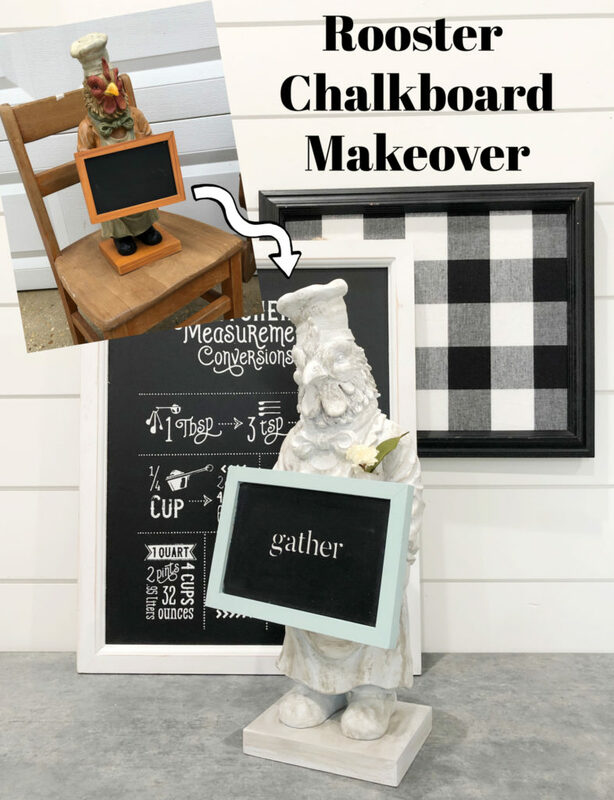 Who doesn’t love a great chalkboard? your project is sooo cute Debbie, as always! Hello, handsome! He looks so fabulous now! I love how it turned out all creamy white! 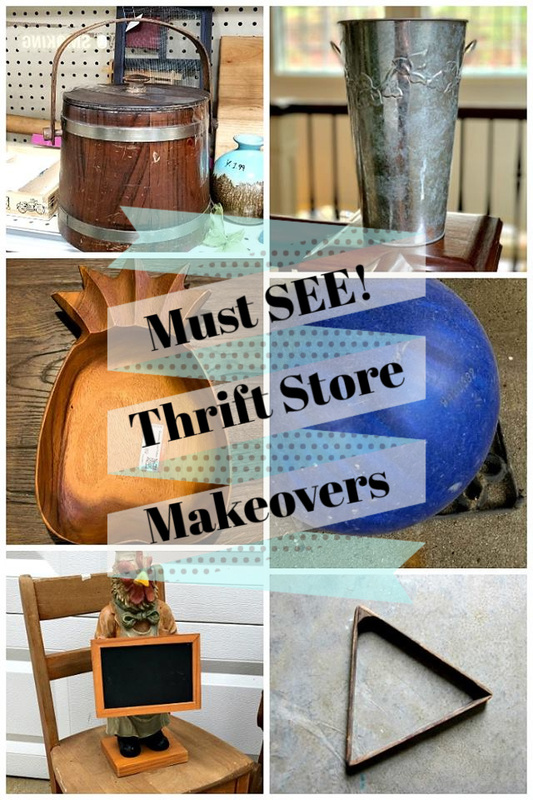 I never get tired of seeing what people come up with using a repurposed item. I love thrift stores and yard sales. You never know what kind of treasure you are going to find. 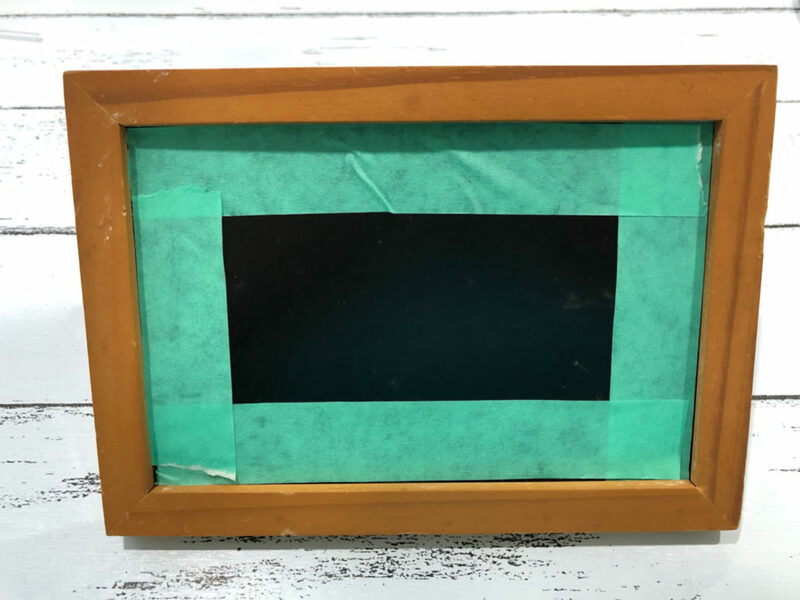 Sometimes I see a piece and know exactly what could be done with it to make it look fresh and attractive. 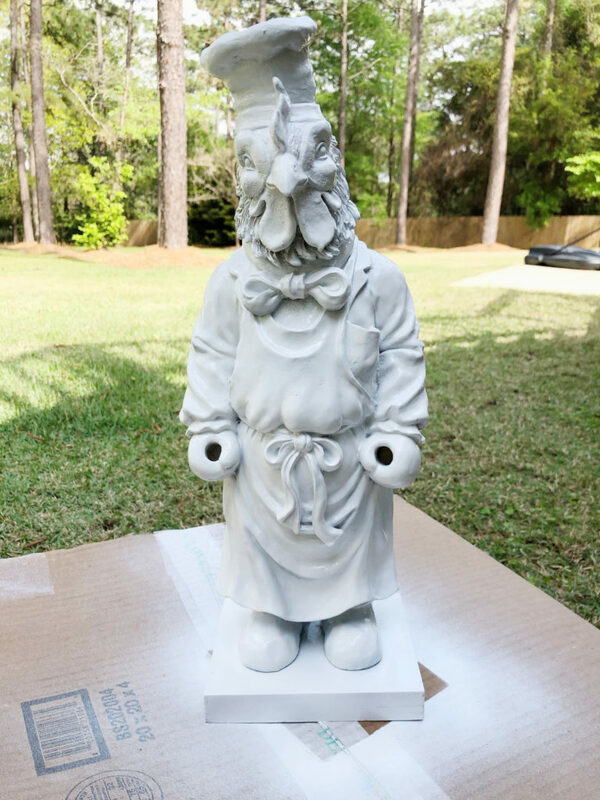 I don’t think I would have given this chicken a second look but you made it look great. He looks very distinguished now! Oh my goodness I jist love him now! Seriously! You must have made a deal with the devil. You always find the best things at the thrift store. I adore this makeover. Looks like Murphy does as well! !